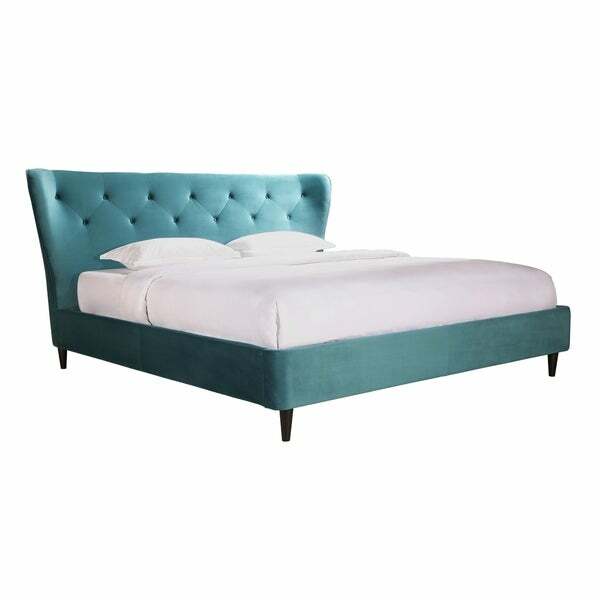 Elegance and luxury unite with this exquisite tufted velvet bed. Upholstered in soft velvet, the headboard boasts an abundance of carefully handcrafted tufts. To add, the wings your bedroom décor. The bed is handmade and the manufacturer prides itself in making furniture that last generations. Features: Dimensions: This product will ship to you in multiple boxes. "does this bed come in a queen as well?" Yes, please see item number 24830096.